The Uniden home security system is only available from the manufacturer or Apple. 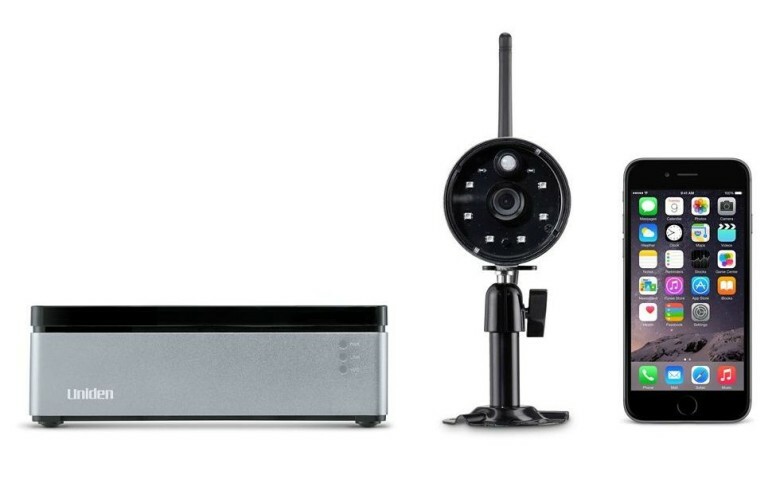 Home security system manufacturer Uniden just released a swanky new system that can store 120 days’ worth of data and, if you want one, you’ll have to go directly through the manufacturer or Apple. The Uniden Wireless DVR HDD comes with two cameras and a 1TB drive for storing your home movies like so many unwatched episodes of Psych. And it could lead to some bad news for smart-thermostat maker Nest’s own security offering. The Nest Camera is currently available in Apple retail stores, which no longer carry the company’s flagship smart thermostat. It’s possible Apple dropped the Nest to drive sales of the Ecobee3, a similar product that is compatible with Apple’s HomeKit connected-home platform that is rolling out later this year. Uniden’s offering isn’t HomeKit-friendly — yet. But Ecobee offers models both with and without HomeKit, which means that it’s possible a connected version of the security system could exist in the future. It could even be in the works right now, which would explain why Apple would make the exclusivity deal in the first place. The Uniden system lets owners remotely monitor their security feeds from their mobile devices, and the companion app comes in both iOS and Android versions. The whole thing will set you back $500, which is way more than Nest Camera’s $199 price point. But it’s comparable to buying two Nest Cameras and an annual subscription to the company’s cloud-based storage system which will let you review 10 days’ worth of footage. We don’t know whether the Apple deal will carry over if the Uniden system makes its way to retail shelves. But if it does, and the security system learns how to talk to HomeKit, Nest could be taking another hit.